I consider myself to be quite a competent cook in general and baker of cakes in particular. But bread is my Achilles heel. I can knock up a decent pizza dough, flat breads or batch of pitta bread, but when it comes to an actual loaf which will see us through a few days I have always struggled. And I love bread. Thick toast with salty butter, soldiers with eggs, salad sarnies…so it is a shame that I can’t enjoy the fruits of my own labour and fewer additives to boot. There are great artisan bakers in the region, but none nearby and to be honest I am on a budget at the moment so that is quite a treat. Well enough. I am determined not to let it beat me, so I have come up with the cracking bread project. I am going to make bread three times this week, using three different methods and by the end of it I will either have found a style which works for me, or I shall forever be forced to buy pre sliced from the supermarket. I will blog my progress each day, and by the end with either have a freezer full of bread crumbs or a new found talent for bread making. I am hoping it’s the latter but I will be completely honest and not hide any failure. I’m not including soda bread because a) I can make that pretty well already and b) it isn’t really a keeper- I am looking for bread that will last me a few days. Today is prep day. 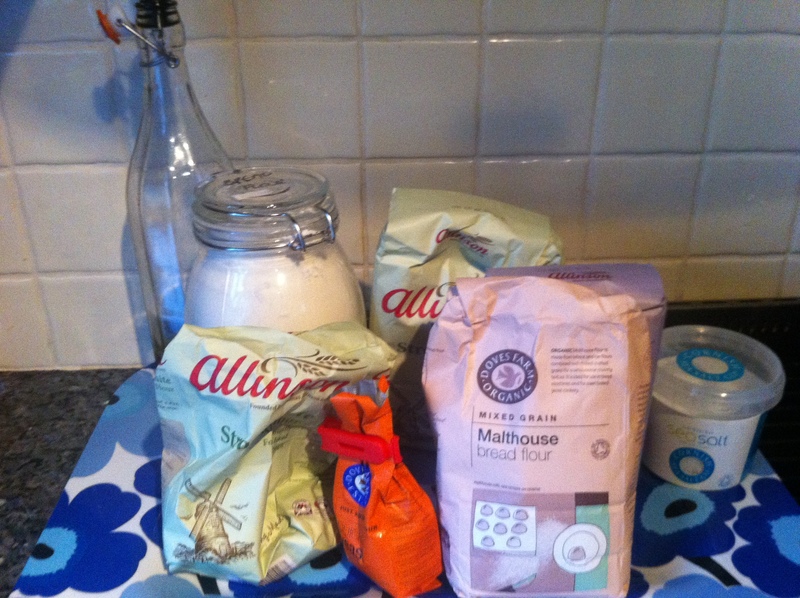 I’ve been and got some fresh yeast (until Morrisons opened last month this was impossible to get in Leigh! ), I am bringing my sourdough starter back to life with some TLC and daily feedings, I have new and accurate digital scales and am reading up on the methods all three books advise. I am also watching the DVD which came with the Bertinet book which explains his method of working dough. So that’s it. I want to crack bread. I don’t ask for much in life, so hopefully the gods of yeast and flour will be smiling down on me and help me to make my daily bread somewhat more palatable! I will be tweeting links to my progress using #CrackingBread (@GoodEggFoodie), so please check back throughout the week to see how I get on.